Avail The Best And Convenient Transportation To And From Detroit! Is someone special is coming to your city after some days and you are thinking how to make them know that how much you really care for them and want to take utmost care of them when they reach after a long hour flight? Well! Then you should select a true and highly professional DTW Airport Car Services. At Detroit Limo Car Service, our car services especially cater to those people who are looking for a little pampering after travelling for long and exhausting hours. No matter, whether your loved one is coming to metro Detroit from one of the great lakes or crossing the big ocean to meet you, by choosing us, you will remain to relax knowing that they are in best hands. Whatever be the time is, we are always there to take care of your requirements. Starting from welcoming your near and dear ones with our meet and greet services to making them reach their vehicle along with assistance for loading up their luggage, we also make sure that their whole ride is comfortable. At Detroit Limo Car Service, all the drivers are highly professional and always remain courteous and grateful to the guests in accordance to the airport service standards. All our drivers possess unmatched perception and complete knowledge about Metro Detroit, thus giving a guarantee that you will reach your destination safely and in time. We not only provide service for transport from the airport but also to the airport. No matter whenever your flight is scheduled, with us you will never reach airport late or miss your flight. We always strive to offer the best airport car services for all the travelers. Coming to price all our services are available at a very affordable rate. You will always get the real value of the money you have us in terms of best and reliable services. All you have to do is pick up your phone and call Detroit Limo Car Service, and allow one of our friendly experts to arrange for the best to or from the Transportation to Airport as well as Transportation from Airport service. You can book it for yourself also as once in a while you also need some special treatment. Without thinking many books, hire “Detroit Airport Limo Cars” for airport pick up or drop off service. Our ride in quality cars will never disappoint you. Our huge fleet of cars has all the classic yet luxurious vehicle models and all of our drivers are well trained to give an ultimate comfortable ride without a hitch. Nowadays logistics has become the efficient way of transportation to travel from one place to another. By using these services, you can reach out your destination quickly and easily either you are relocating for business deeds. The Detroit Corporate Transportation can provide you all kind of versatility as per your need. Let’s explore it even more and discuss some aspects of how these services are useful for you. These service providers have well trained trustworthy working staff with years of working experience. They know very well how to handle a typical situation conveniently with tools and techniques. There professionals drivers have an immense amount of practical knowledge about how to drive any vehicle either it is old or new one. However, sometime you could even gain some valuable information or tips via these professionals. These providers have all types of well known luxurious cars available for you of any brand or model for ex: – Limousine, Audi A8, Range, etc. These royal vehicles have all in one high tech gadgets available for your safety, ample storage space, customization seats and much more. Not only this, however, some of the vehicles have smart inbuilt GPS system as well as free wiki facility. Sometimes it could be just like a small luxurious room on wheels. Detroit Airport Transportation is most popular and admirable service among their customer. It is the only reason that reservation facility is also available. The team will work in collaboration and try to give you a best possible solution for your requirement. It’s never an issue for them how long your journey will be because customer satisfaction matters them most. Here Airport Transportation in Detroit is a right choice to experience yourself. The Detroit Airport Transportation Services includes all sort of on-time pick and drop facility to and from the airport. They can even provide you door to door transportation service at an affordable price. You can book a taxi for almost every occasion like wedding, party and so on. So you are waiting for what gets your service today and avail free discount offers. 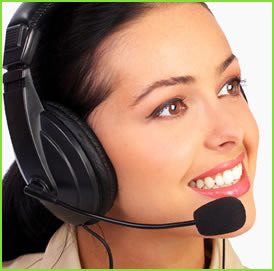 They have all time 24/7 service available for you so that you can contact them at any as per your relevancy. There customer care executives are always ready to sort out your queries. You can contact them via their free toll-free number or e-mail. You can fill the online reservation on the official website for your booking. You can also visit the customer’s online review section for your concern if you like so. However do complete research before and select the one as per your constraints. In the end, if you are a newbie in Detroit and don’t know much about transportation, this article could be advantageous for you. In case if you don’t have your vehicle, then transportation service is the only perfect option for you to go. Best of luck! Happy journey! Why Should You Choose Airport Limo Transportation Service In Detroit? Are you planning to visit Detroit this coming weekend for business purpose or a vacation? Then there is no doubt that you will have a lovely experience because it is one of the fantastic city in America, where you can create some of the nice memories. But while planning for your travel, you should arrange things properly. A small mistake in planning can bring worst experience for your trip. While planning, you should look for a good hotel that will give you a comfortable stay and along with that, you should keep idea about the foods and cuisine available in the city. All these small things will end up making an awesome trip for you. We all know that anything that starts well will end well. Make your journey to Detroit beautiful from the time you land there in the airport. Yes! You can pre-book a Limo car or a Sedan through one of the best Detroit Metro Car Services available in the city. When you pre-book for this service, a fantastic limo car, Sedan, SUV or any other luxurious vehicle will come as soon as you reach the airport and take you from the airport to your hotel or any other destination in the city. It will make your travel more safe and comfortable. Variety of cars: There is a large number of companies providing such services in Detroit. All you have to do is choose the right one. By booking for these services beforehand, you can get a number of luxury cars to travel in the remarkable city Detroit. These services are available at very affordable rates. Detroit airport limo cars are one such company offering Detroit metro cars to and from Detroit Metro. More space, more comfort: It is true that you can easily travel to your destination from the airport at a very minimal price by sharing a cab. But you cannot enjoy the comforts that you will get by hiring a Detroit Metro Town Car When you share a cab, you will not get much space for sitting and also for keeping your luggage but with cars from ‘Detroit airport limo cars’, you will get more than enough space both for yourself as well as for your luggage. Pre-booking a Detroit Metro Town Car will protect you from the hassles that you may face if you book a transportation after reaching the airport. ‘Detroit airport limo cars’ offer best transportation services at most affordable rates. Make a stopover wherever you want: The Detroit Corporate Transportation permit you to stop anywhere for any purpose while traveling to and from the airport. This facility gives you more independence, comfort and allows you enjoy your trip to the fullest. No matter whether you are traveling for business purpose or for any other personal reason, ‘Detroit Airport Limo cars’ offers you the world class cars like Sedan, Limousine, SUV and other big vans for making your travel comfortable and safe. After your stay is over, you can also easily reach the airport in time by avoiding all the hassles that you may face because of heavy airport traffic. You will also get well trained and professional drivers who will offer you with magnificent customer service. 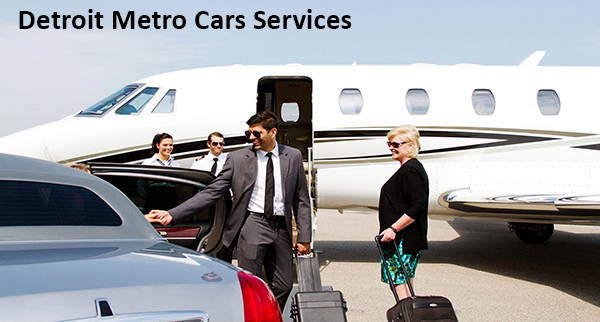 Services offered by Detroit Airport Limo cars services are Airport transportation, Detroit Metro Car Services, Corporate transportation and Metro airport transportation. 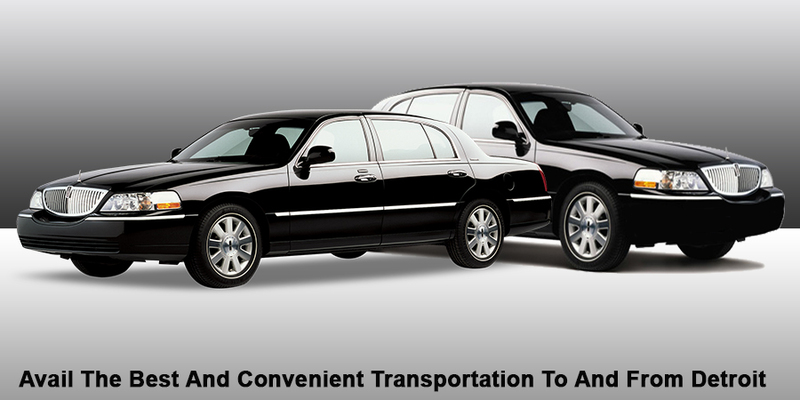 Detroit Airport Limo Cars provides airport transportation to and from Detroit Metro Airport. Call us or fill out online reservation form to reserve your airport shuttle service. Rate are subject to change without notice.